The four albums in this collection dating from 1965 to 1971 bring together many of the singer’s chart successes. Like so many country entertainers of his era, Charles Levi Walker (born in Copeville, Texas on November 2nd 1926) grew up in rural surroundings, spending his early years picking cotton and being inspired by the sounds of country music. After short spells with Imperial, Decca and Mercury Records he secured a deal with Columbia in mid-1958 and on his first session, June 5th 1958, recorded a new song from the up-and- coming songwriter Harlan Howard, then a fork-lift driver in California. Produced by Don Law, ‘Pick Me Up On Your Way Down’ brought success for both singer and writer. The record climbed to #2 in the US country charts during a 22 week chart run. It also set Charlie Walker’s direction in the many recordings that followed. A honky-tonk hero was born! He gained particular popularity in Las Vegas having played at the Golden Nugget Casino for 25 weeks from 1965 to 1967. The four albums in this collection dating from 1965 to 1971 bring together many of the singer’s chart successes, not only of the honky tonk variety but also several with novelty and comic ingredients like the good-time ‘He’s A Jolly Good Fellow’, ‘Let’s Go Fishin’ Boys (The Girls Are Bitin’)’, ‘The Man In The Little White Suit’ and ‘I Wouldn’t Take Her To A Dogfight’ ending with the climactic line ‘not even if she had the chance to win’! Among his many other notable recordings are ‘Close All The Honky Tonks’ (which reportedly was producer Billy Sherrill’s first single to sell over 50,000 copies) and the original version of ‘Little Old Wine Drinker Me’ that later scored success for both Dean Martin and Robert Mitchum. Charlie also recorded an unlikely cover of the Rolling Stones’ ‘Honky Tonk Women’ which the singer thought was “kind of dirty” but was recorded upon the urging of a record label executive who wanted to reverse the usual pop artists covering country songs situation. 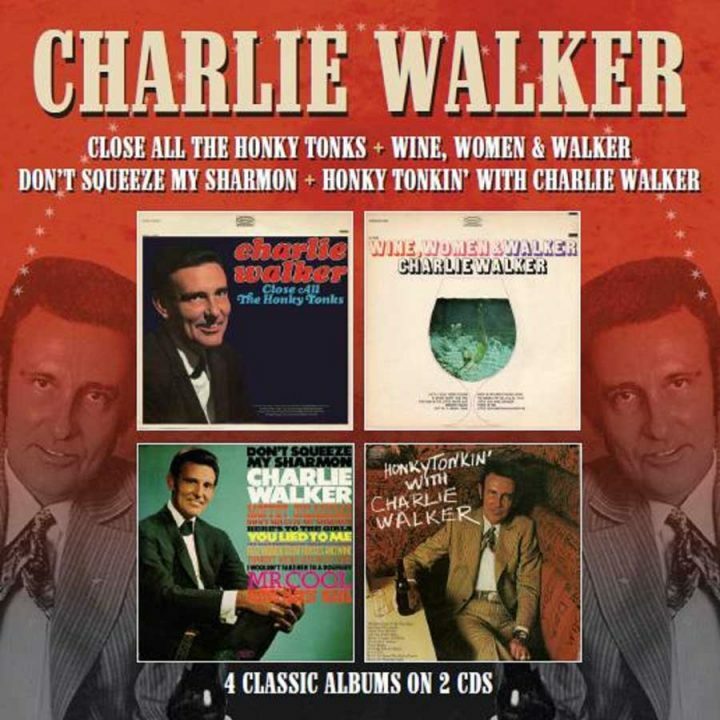 The albums also include fresh renderings of several country classics and, of course, a variety of honky tonk and beer-drinking songs, all given that distinctive Charlie Walker flavouring. He cut down on touring during his latter years but remained a member of the Grand Ole Opry. Charlie Walker died on September 12th 2008, aged 81. All albums produced by Billy Sherrill. 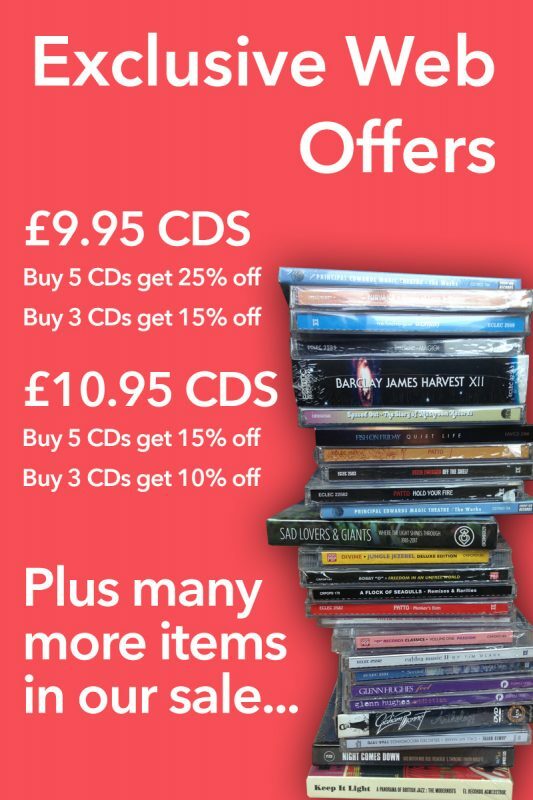 All albums appear on CD for the first time.